Here is a quick review of BlackJack Pro - an amazing invention for gamblers and those who are just willing to amuse themselves. 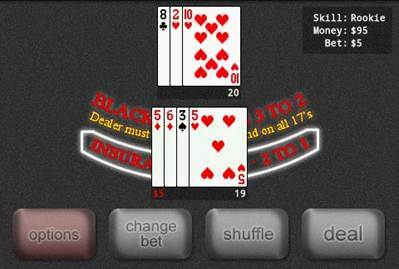 BlackJack Pro is a full mobile version of blackjack game based on Google Android. It has 5 complexity levels that make such a popular game able to satisfy everyone’s wants. Both beginners, who want simply to spend their time with joy and to learn how to count cards, and professionals, who make real bets for real money, can find it fascinating. There is an option in settings that allows you to change the color of the game table of your choice. Also, you can turn on / off sound and vibration effects. For example, if you lose a hand the system makes a suitable for you sound/vibration signal. All this makes the game even more exciting, thereby takes your breath away! 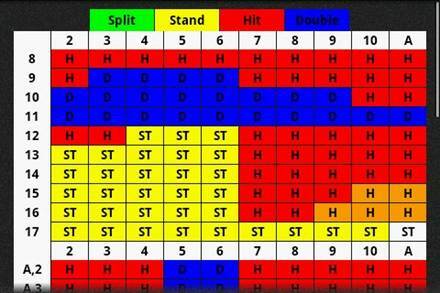 There is an option in settings that allows you to change the color of the game table of your choice. Also, you can turn on / off sound and vibration effects. For example, if you lose a hand the system makes a sound/vibration signal of your choice. All this makes the game even more exciting, thereby taking your breath away! Also there is a random game mode and the guarantee that the highest dealer's combination (Blackjack) won’t be delivered. If you are not a professional in this game, but willing to learn how to play or improve your skills in blackjack there is a tip for you. 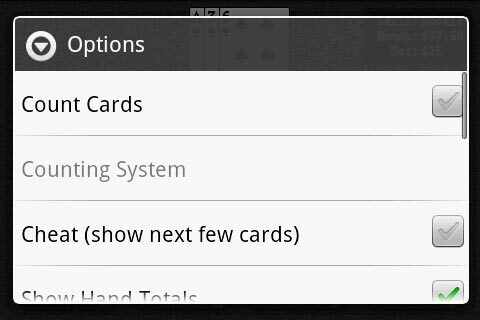 You can activate an option of displaying cards that appear below. Besides that, there are many other useful functions for beginners. 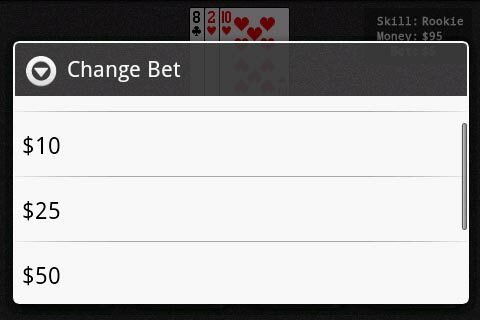 You can start using them after you download an application BlackJack Trainer. Another useful thing is that the application supports online results (table of leaders). This makes it easier to handle the necessary statistics for you. So, if you really love casino games, do not miss BlackJack Pro. The application costs only 99 cents, so you can get much fun and adrenaline almost for free!